That’s the question at the heart of a new initiative that University of Virginia students hope will deepen the connection between the UVA community and some of the Charlottesville neighborhoods closest to Grounds. 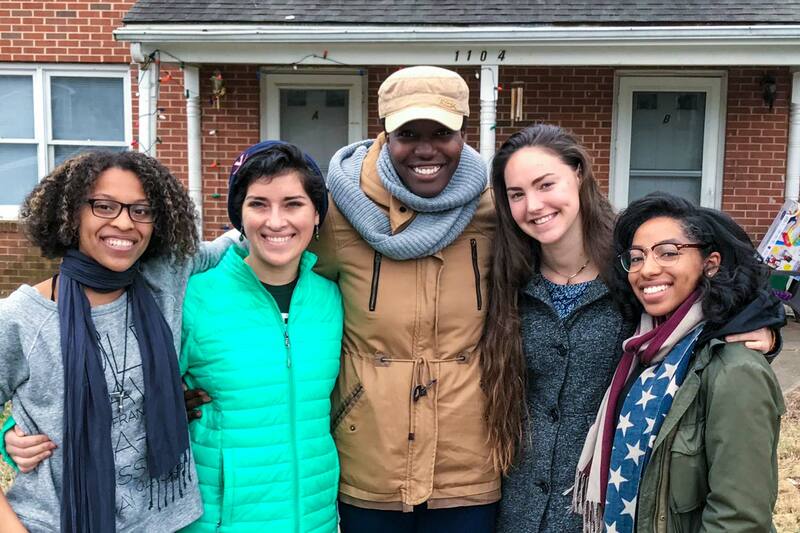 This year, five third-year students – Ameenah Elam, Dominique DeBose, Isabella Hall , Sade Akinbayo and Sarah Bland – are the first to live in The Perkins House, a house in Charlottesville’s 10th and Page neighborhood named in honor of civil rights activist John M. Perkins. Throughout the year, they will work to build relationships with their neighbors in big and small ways, whether by opening up their home for dinners or simply helping carry groceries. Some will also partner with different nonprofit organizations working in the community. 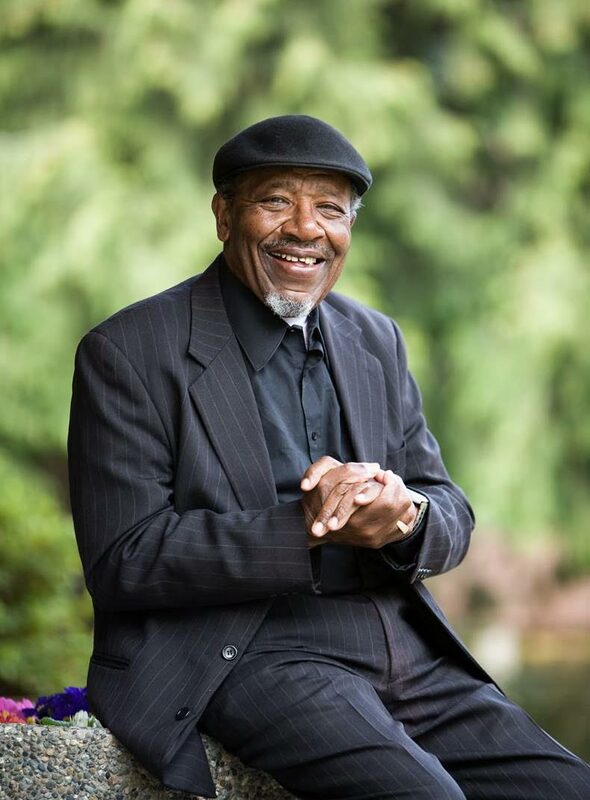 The John and Vera Mae Perkins Foundation is supporting The Perkins House, which director Garrett Trent said exemplifies the civil rights leader’s Christian faith and commitment to community development, racial reconciliation and nonviolent activism. The Perkinses live in Mississippi and, along with their grown children, continue advocacy work around the country. Perkins, a preacher, activist and writer, grew up amid poverty and racial violence in New Hebron, Mississippi, and fled after his brother was shot by the town marshal. He returned after converting to Christianity and became a key leader in the civil rights movement. “We are really proud and really honored to be able to walk in his footsteps in a small way in this neighborhood,” said Trent, a 2010 graduate of the College of Arts & Sciences and 2011 graduate of the McIntire School of Commerce, who now works for Habitat for Humanity. The racially and socioeconomically diverse 10th and Page neighborhood, located less than a half-mile from the University’s northeastern edge, is home to some families who have been there for generations and some who are just arriving, including refugees resettled by the International Rescue Committee. Few students live there, despite its close proximity to Grounds. The 87-year-old Perkins, speaking from his home in Jackson, Mississippi, said the house and its student residents could be a living example of Christian community development, which calls on Christians to live and work among the communities they hope to serve. In addition to working with Perkins, Trent spoke with neighbors to get their input and approval as he planned The Perkins House. He emphasized that he was careful to avoid displacing families and does not plan to bring huge groups of students into the neighborhood, which could increase the scarcity and cost of housing. Instead, the project will be limited to one house that will serve as a point of connection between the neighborhood and the University community. So far, he said, the responses have been positive. “One longtime resident, who has lived here for 50 years, said she thought there was a great need for understanding and connection between the University and the Charlottesville community, and that this was a positive step,” Trent said. Three Perkins House residents will be mentored through Theological Horizons, a ministry organization at UVA, as “Perkins Fellows,” and will work with different nonprofits throughout the year. Hall, for example, is working with Bread and Roses, a ministry through Trinity Episcopal Church that promotes equitable access to fresh, healthy food. Other partners include The Haven, a homeless shelter in downtown Charlottesville; and Restoration Village Arts, which partners with artists, musicians and ministers. The diverse group of students, who all met through a Christian organization on Grounds, have also committed to spending every Sunday of the school year around the house or the neighborhood, making a conscious and active effort to get to know their neighbors. Hall, who lived there over the summer, said she is already seeing the fruits of this commitment. DeBose said she thinks of The Perkins House not as a one-off project, but as a key part of her commitment to living out her Christian faith as a student and a Charlottesville resident. “Having relationships with people who are different from you, in different stages of life, and talking about those experiences firsthand is not something that you can get in the classroom,” she said. The students said that the mission of their new home – and the lessons they are learning from Perkins himself – felt all the more important after the Aug. 12 white supremacist rally that left three people dead and Charlottesville reeling. Perkins spoke with all five students over the phone after that weekend. “That conversation was centered on the reverberations of those events in the community, and how we can think about that going forward,” Hall said. She said Perkins reiterated his commitment to nonviolent protest – despite having endured terrible torture during the civil rights movement – and his belief that the best way to respond is to remain consistently engaged and act out of love.